Outer Banks Internet, Inc. was started in 1996 with the vision of bringing the practice and principles of online marketing to businesses that serve one of the most pristine and natural beach communities on the east coast. To date, OBI has built over 500 websites and worked with a variety of businesses across countless industries all over the country. We love our diversified client base and the unique challenges that each project inevitably holds. Our clients love that we tackle the technical and creative challenges of their projects while allowing them to maintain complete control of the overall direction and details. We strive to develop a clean, professional website design for every client using current coding standards and modern design techniques. The site will first and foremost be a reflection of a business and its unique identity. It will be intuitive, simple to navigate, and easy to update. Our services do not end when a website launches. We strive to forge lasting relationships with our clients by providing ongoing support, updates, and consultations. This relationship enables us to keep our clients at the forefront of changes in technology. Outer Banks Internet, Inc. has successfully designed and implemented client websites and web applications for over 20 years. Our experience in the industry allows us to accurately estimate projects and serve the range of our clients’ digital needs from website design and functionality to photography, copywriting, SEO, and digital marketing. Our 20+ years of experience working with businesses across the country allows us to see the big picture for each project we take on. As such, we view each relationship as much more than solely a website. We believe that a website is only a success if the business is put in a position to succeed because of it. Our experience in the field allows us to better position and educate our clients to maximize the effectiveness of their web presences. We foster long-term relationships with our clients and often take an active role in helping them maintain their digital marketing so they can focus on their businesses. What sets us apart is our complete focus on our clients. We take time to learn about their industries and find solutions for the pain points of their businesses. Whether the conversion goal is to get a phone call, online quote request, or sell a product online, we pinpoint the best strategies to produce results. WITH OUR CORE VALUES OF HONESTY, HARD WORK, AND COMMUNICATION. Our goal is to have these characteristics influence everything we do in business and in life. 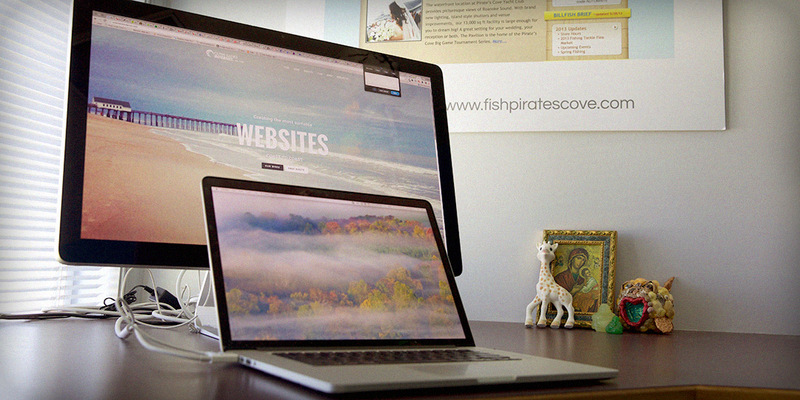 We take pride in helping businesses build and sustain an authentic web presence.